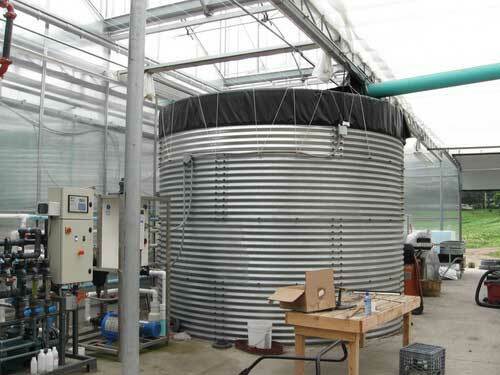 Irrigation water quality is a critical aspect of greenhouse crop production. There are many factors which determine water quality. Among the most important are alkalinity, pH and soluble salts. But there are several other factors to consider, such as whether hard water salts such as calcium and magnesium or heavy metals that can clog irrigation systems or individual toxic ions are present. In order to determine this, water must be tested at a laboratory that is equipped to test water for agricultural irrigation purposes. Poor quality water can be responsible for slow growth, poor aesthetic quality of the crop and, in some cases, can result in the gradual death of the plants. High soluble salts can directly injure roots, interfering with water and nutrient uptake. Salts can accumulate in plant leaf margins, causing burning of the edges. Water with high alkalinity can adversely affect the pH of the growing medium, interfering with nutrient uptake and causing nutrient deficiencies which compromise plant health. Suspended solids need to be removed from water to prevent clogging of piping, valves, nozzles and emitters in an irrigation system. Suspended solids include sand, soil, leaves, organic matter, algae and weeds. Ground water, although usually clean, may contain fine particles of sand or other particulates. All of these can be removed through filtration. Before selecting a filter, a water analysis should be done. The type and quantity of solids should be determined, taking in consideration seasonal changes such as algae growth or spring runoff. To determine the type of filter, consider the flow rate needed to supply the irrigation system and the level of filtration needed. Screen or disk filters work well for most applications. A 200 mesh filter is usually recommended for micro-irrigation. The filter should be sized so that the flow rate is large enough to handle the peak demand. Maintenance of a filter is important. Installing pressure gauges on both sides of the filter will indicate when it is becoming clogged. When the pressure variation between the two gauges exceeds about 10% the filter should be cleaned. Alkalinity and pH are two important factors in determining the suitability of water for irrigating plants. pH is a measure of the concentration of hydrogen ions (H+) in water or other liquids. In general, water for irrigation should have a pH between 5.0 and 7.0. Water with pH below 7.0 is termed "acidic" and water with pH above 7.0 is termed "basic"; pH 7.0 is "neutral". Sometimes the term "alkaline" is used instead of "basic" and often "alkaline" is confused with "alkalinity". Alkalinity is a measure of the water's ability to neutralize acidity. An alkalinity test measures the level of bicarbonates, carbonates, and hydroxides in water. These compoounds get into the water from the geologic materials of the aquifer from which the water is drawn, such as limestone and dolomite. Test results are generally expressed as "ppm of calcium carbonate (CaCO3)". The desirable range for irrigation water is 0 to 100 ppm calcium carbonate. Levels between 30 and 60 ppm are considered optimum for most plants. Irrigation water tests should always include both pH and alkalinity tests. A pH test by itself is not an indication of alkalinity. Water with high alkalinity (i.e., high levels of bicarbonates or carbonates) often has a pH value of 7 or above, but water with high pH does not always have high alkalinity. This is important because high alkalinity, not pH, exerts the most significant effects on growing medium fertility and plant nutrition. A UMass Extension greenhouse water study found that pH in the range of 7-8 is common in most water sources found in Massachusetts. These higher pH levels are typically not a problem unless the alkalinity exceeds the acceptable range. High pH/high alkalinity water is common in Berkshire County and sometimes is found in other parts of the state. In most cases irrigating with water having a "high pH" causes no problems as long as the alkalinity is low. High pH water has little effect on growing medium pH because it has little ability to neutralize acidity. This situation is typical for many growers using municipal water in Massachusetts, including water originating from the Quabbin Reservoir. Of greater concern is the case where water having both high pH and high alkalinity is used for irrigation. In Massachusetts this situation is most common in Berkshire County. One reason is that the pH of the growing medium tends to increase significantly with time. In effect the water acts as a constant and dilute solution of limestone! This increase may be so large that normal lime rates must be reduced by as much as 50%. The problem is most serious when plants are grown in small containers because small volumes of soil are poorly buffered to pH change. Therefore, the combination of high pH and high alkalinity is of particular concern in plug and seedling trays. Trace element deficiencies such as of iron and manganese and imbalances of calcium (Ca) and magnesium (Mg) can also result from irrigating with high alkalinity water. Water with moderate levels of alkalinity (30-60 ppm) can be an important source of Ca and Mg for some greenhouse operators. With the exception of a few fertilizers, many water soluble fertilizers do not supply Ca and Mg. Also, the Ca and Mg from limestone may be inadequate for some plants. Moderately alkaline water can beneficial as a source of extra Ca and Mg for crops prone to Ca and Mg deficiencies. Table 2. Upper and lower limit guidelines for irrigation water alkalinity. In addition to nutritional disorders of plants, water with high alkalinity can cause other problems. Bicarbonates and carbonates can clog the nozzles of pesticide sprayers and drip tube irrigation systems with detrimental effects. The activity of some pesticides, floral preservatives, and growth regulators is markedly reduced by high alkalinity. When some pesticides are mixed with water they must acidify the solution to be completely effective. Additional acidifier may be needed to neutralize all of the alkalinity. If water pH is above 7.0, and the chemical requires a lower pH, a buffering (acidifying) agent should be added to lower the pH of the water used for mixing. 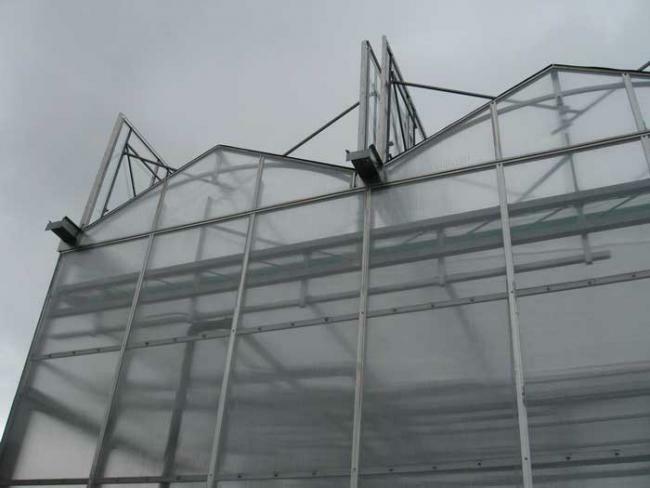 Buffering agents can be obtained from greenhouse and nursery supply companies. Buffering agents should not be used with pesticides containing fixed copper or lime such as copper sulfate, or lime sulfur. Too much buffer should not be used as it may cause the water to become too acid and phytotoxicity may result. A pH of 6.0 is satisfactory for most pesticides. To determine if a pesticide is affected by high pH or high alkalinity, carefully review the product's label. A call to the manufacturer may be needed to find the information for some chemicals. Acidification of water having high pH but low alkalinity is rarely necessary, but many greenhouse operators inject acid (e.g., phosphoric, nitric, or sulfuric acid) into water with problematic high levels of alkalinity. The use of acid injection should be considered very carefully for several reasons. First, it is an extra step in production which will require additional materials and equipment. Second, acids are dangerous to handle and may damage some injectors and piping systems. Third, phosphoric or nitric acid are sources of P and NO3, so the regular fertilizer program may need to be modified to take into account the addition of these nutrients. This would depend on how much acid must be used to neutralize the alkalinity and reduce pH. Finally, sometimes acid injection causes the solubilization of normally precipitated (unavailable) forms of trace elements, resulting in levels that are toxic to plants. The amount of acid required to reach the desired pH (i.e., neutralize alkalinity) is determined by laboratory titration of a water sample with the appropriate acid or by a calculation procedure. Some "fine-tuning" may be needed later when actual injection is started. Acid is always added to water prior to the addition of fertilizer or other chemicals. The acids commonly available to growers include phosphoric, sulfuric, nitric, and citric. Table 3 lists criteria for choosing the right acid for your situation: relative safety, neutralizing power, cost, and nutrient content. One of the most widely used acids is sulfuric acid; however, this is one of the most hazardous acids to use. For low amounts of alkalinity removal, phosphoric acid may be a better option. However, adding more than 2.25 fluid ounces of phosphoric acid to 100 gallons of water is not recommended, because of the amount of P that would be added. Nitric acid is theoretically ideal because it adds nitrate nitrogen; but it fumes and is highly oxidizing, making it very difficult and potentially dangerous to handle. Citric acid is a weak organic acid and a solid, making it safer than the other three; but it is much less effective, and therefore more expensive to use. Table 3. Characteristics of acids used to neutralize water alkalinity. z Nutrient content when 1 fl. oz. is added to 100 gallons of water. Make appropriate adjustments to fertilizer program. w Phosphoric acid comes in many strengths, but 75% is most common. Heavy free grade or food grade should be used, if possible. It is suggested to use enough acid to reduce water alkalinity to within a target range. Table 4 provides suggested target alkalinity ranges based on container size. First, have your water analyzed for alkalinity. You can have a lab test your alkalinity or you can use a kit to measure it yourself (alkalinity test kits can be purchased through greenhouse or scientific supply distributors). Then, calculate the amount of acid needed to get the water into your target alkalinity range. (Current alkalinity - desired alkalinity = alkalinity to be neutralized). Table 3 lists the amount of acid to use for a certain ppm (parts per million) of alkalinity per 100 gallons of water. Acids are hazardous chemicals. When concentrated acids are mixed with water, a tremendous amount of heat is generated (which can even distort or melt plastic). Improper mixing can result in bodily injury. Always wear the proper safety equipment when using acids. This includes safety glasses, face shield, respirator, rubberized apron or coveralls, and acid-resistant gloves and boots. You should be able to find safety equipment distributors in the Yellow Pages under "Safety". Federal and state safety laws and codes should be followed for storing, mixing and handling acids. Table 4. Suggested alkalinity guidelines (mg CaCO3/liter)z. Many growers want to use one injector and mix acid with fertilizers. The use of sulfuric, nitric and citric acid is compatible with most water-soluble fertilizers. Phosphoric acid is not compatible with calcium-containing fertilizers like calcium nitrate or formulations like 15-0-15 and 17-0-17 in concentrated form. Soluble salts in water are measured by electrical conductivity (ECw) expressed as millimhos per centimeter (mmhos/cm), which is equivalent to milliSiemens per centimeter (mS/cm). Electrical conductivity is also referred to as specific conductance or salinity. EC (electrical conductivity) measures the levels of natural salinity and salinity caused by fertilizer residues in water and soils. In Massachusetts high EC water is not a common problem. However, high EC may occur in water from containment ponds rich in fertilizer residues, certain wastewaters used for irrigation, water contaminated by road salt, and rarely from saltwater intrusion in coastal wells. Irrigation water to which water-soluble fertilizer has been added has an EC of about 1.5-2.5 mS/cm, so, to avoid plant injury, the untreated water should have an EC no higher than the acceptable range of 0-1.5 mS/cm, although values of less than 1 are recommended for plugs. Excess soluble salts impair root function, which can lead to reduced water uptake and nutrient deficiencies. Hardness is an indication of the amount of calcium and magnesium in the water. Calcium and Magnesium are essential elements for plant growth that are reported in parts of element per million parts water (ppm) on a weight basis. Calcium in the range of 40 - 100 ppm, and magnesium in the range of 30 - 50 ppm are considered desirable for irrigation water. Irrigation water from rivers, streams, private wells, and private ponds may contain excess sodium (Na) and chloride (Cl). A University of Massachusetts water study found that water from shallow private wells or private ponds was most likely to contain elevated Na and Cl due to road salt contamination. The contamination was most acute when these sources were located close to a road or parking lot. Municipal water generally had acceptably low Na and Cl levels probably because road salt applications are reduced in areas close to public wells and reservoirs. In wells and ponds Na and Cl levels were highest in the spring when runoff from snowmelt was highest or in the summer when water levels were drawn down to low levels during droughty periods. To properly assess how serious the Na and Cl contamination is, a series of water tests should be run during these periods to determine how high the levels are and their duration. This information will be useful in deciding what remedial measures to take. While likely sources of Na and Cl in the Northeast is road salt, water softeners and some fertilizers may also be contributors. High sodium acts to inhibit plant uptake of calcium, and may result in excess leaching of calcium and magnesium from the media. There is also the possibility of foliar absorption of sodium, resulting in leaf burn. Sodium levels of about 50 ppm or less are considered acceptable for overhead irrigation. Because of its effects on calcium and magnesium availability, the amount of sodium in irrigation water should be evaluated when you consider whether you have adequate calcium and magnesium. The effect of sodium is calculated as the sodium adsorption ratio (SAR). If the SAR is less than 2 and sodium is less than 40 ppm, then sodium should not limit calcium and magnesium availability. Excess Sodium and Chloride: Acceptable levels of Na and Cl for ornamentals are less than 50 ppm and 140 ppm, respectively, however higher levels may be tolerated depending on crop sensitivity. Na and Cl can be directly toxic to plants, may contribute to raising the soluble salts (EC) level of the growing medium, or may inhibit water uptake by plants. Plant problems include injury from excess soluble salts, growth reduction, and increased susceptibility to disease. Foliar chlorosis caused by high Na and Cl is similar in appearance to that caused by deficiencies of nitrogen, iron, and magnesium. Increasing the level or frequency of water-soluble fertilizer should not be used as a corrective measure for this problem. If high levels of Na and Cl are suspected as plant problems, the suspicion should be confirmed by water testing every week or two weeks during the production season. If Na and Cl levels remain significantly above acceptable levels for weeks at a time then remedial measures should be considered. Changes in fertilization or other cultural practices do not provide solutions for this problem. The best approach is to change salting practice to prevent contamination of the water source. Other remedies for road salt contamination are more expensive and involve changing water sources by drilling deeper wells away from roads and parking lots, switching to municipal water, or collecting and irrigating with rainwater. Another remedy would be water treatment by reverse osmosis. Municipal water, rainwater, or RO water can be mixed with saline water to dilute the Na and Cl levels. Chloride: Wells and municipal water sources may contain high chloride levels in association with sodium. The concern with chloride is the possibility of excessive foliar absorption under overhead irrigation or leaf edge burn caused by excessive root uptake in sensitive plants. If concentrations are less than about 100 ppm, there is no concern from excessive foliar absorption. If concentrations are less than about 150 ppm, there is no concern about toxicity resulting from root uptake. Potassium and Phosphate: These plant nutrients generally occur in water at very low levels. Presence in irrigation water at levels higher than a few parts per million may indicate the presence of pollution from fertilizers or other contaminants. Sulfate: Sulfur is an essential element for plant growth that is not commonly incorporated in fertilizers. It is measured in irrigation water to give an indication of possible deficiency problems. If the concentration is less than about 50 ppm, supplemental sulfate may need to be applied for good plant growth. Ammonium and Nitrate: These nutrients are tested to give an indication of possible contamination of the water source. If present in significant amounts (e.g., >5 ppm nitrate), they should be taken into account in the fertility program. Fertilizer practices should be reviewed and corrected to prevent further contamination. The most important micronutrients are copper, zinc, manganese, iron and boron. They can occur in excessive or deficient quantities. Excess iron and manganese compounds may result in unsightly residues on foliage under overhead irrigation. Fluoride may be present in levels high enough to damage foliage plants and Easter lilies. Concentrations in irrigation water should be less than 0.75 ppm. There may be a problem with the use of some fluoride-treated municipal water supplies. There are three major categories of water quality problems that can be corrected by chemical or physical treatment systems. Alkalinity can be neutralized by addition of acids described in the alkalinity section. Total dissolved solids, the soluble salts measured together as EC and individually in ppm of the element, can be removed by several water purification systems. Individual elements can be removed from the water if total dissolved solids are not high enough to warrant total salts removal. Before investing in any treatment system, however, it may be advisable to investigate the possibility of switching to an alternate water source, or mixing water sources, if it is an economical alternative for solving a water quality problem. Water purification methods and their applications are summarized in Table 5. Two systems to remove total dissolved solids are reverse osmosis and deionization. Distillation and electrodialysis are water purification processes that can produce very high quality water, but at a prohibitive cost. This type of system removes 95 to 99 percent of the total dissolved salts. The system works by osmosis, which is the passage of a solvent (water) through a semi-permeable membrane separating two solutions of different salts concentrations. A semi-permeable membrane is one through which the solvent can pass but the solutes (salts) can not. If pressure is applied on the solution with a high salt content (the irrigation source water), the solvent (water) is forced to move through the membrane leaving behind the salts. Relatively pure water accumulates on the other side of the membrane. Maintenance and replacement of membranes are a significant part of the cost of reverse osmosis systems. Less efficient and less costly membranes are available that require less energy because of their lower operating pressures. The amount of purified water delivered in a given time and the degree of salts removed depends on the pressure of the system, membrane type, total dissolved solids of the water being purified and temperature. Efficiency is strongly dependent on the integrity and cleanliness of the membranes. Chlorine can cause rapid degradation of the membranes and sediments cause clogging. For this reason, water to be purified by RO is usually pretreated to remove suspended solids, calcium carbonates and chlorine, and the pH is adjusted down if it is above 7. Although total salts removal can be 95 to 99 percent, individual salts are removed with varying efficiency. In general, calcium, magnesium and sulfate are removed more efficiently than potassium, sodium, lithium, nitrate, chloride and borate. A disadvantage of reverse osmosis systems is that salty wastewater is produced. Disposal of this waste may fall under government regulation. The soluble salts in water carry a charge that is either positive (cations) or negative (anions). Examples of cations are: sodium (Na+), calcium (Ca++), magnesium (Mg++), iron (Fe++) and potassium (K+). Examples of anions are: chloride (Cl-), sulfate (SO4 =), bicarbonate (HCO3-), and fluoride (F-). Deionization is a process that removes ions from water using exchange resins. These are usually solid beads that are covered with fixed negative or positive charges. A cation exchange resin has fixed negative charges that are neutralized by H+. When the irrigation water is passed over the resin, cations in the water replace the H+ ions and are held on the resin. Likewise, an anion exchange resin has fixed positive charges that are neutralized by hydroxide ions (OH-). When the irrigation water is passed over the resin, anions in the water replace the OH- ions and are held on the resin. The H+ and OH- ions released from the resins combine to form water. A deionization unit will contain both anion and cation resins so that all salts are removed. Deionization is very effective and produces a higher quality water than is generally needed in crop production. The cost increases with the amount of salts in the water to be removed. The higher the salts content, the more frequently the resins need to be regenerated or replaced. Cost of deionized water is generally five to six times higher than that of water purified by RO. If high-quality water is required (as for holding cut flowers) and the initial salts content of the water is high, RO can be used as an initial purification step and final quality be achieved by deionization. Final costs may actually be lower than with deionization alone. Iron and manganese in water become oxidized to insoluble forms that are responsible for black or brown stains on foliage of plants that are overhead irrigated. Iron concentrations of less than 0.3 ppm are required for micro-irrigation systems. There are several ways to remove these elements. If enough space is available, the least expensive approach is to pump the source water into a pond or tank where the insoluble iron and manganese compounds can precipitate and settle out. The water is often pumped in as a spray for rapid oxidation of the iron and manganese to insoluble forms. Enough time must be allowed for the iron and manganese to settle out, and the holding pond or tank must be large enough to accommodate the irrigation volume needs of the facility without disturbing the bottom layer of sediment containing the iron and manganese. Oxidation filters also oxidize the iron and manganese to insoluble forms using air, potassium permanganate or chlorine. The sediments are removed by filters that must be periodically cleaned, usually by backflushing. Sand may also be used as a filter. If a chemical oxidant is used, this must be renewed as it is used up. Manganese is slower to oxidize and settle out of the water. For efficient removal of manganese, chemical coagulation before sedimentation and filtering may be required. If iron and manganese bacteria are present, oxidizing filters should not be used. The oxidizing filters will be quickly blinded by the bacteria. Another approach to eliminating problems of precipitates is to keep the iron and manganese in soluble form. Polyphosphate chelates added to water attach to the soluble iron and manganese and keep them from becoming oxidized. The chelate-iron (-manganese) complex then passes through the irrigation system and is not precipitated on plants. Chelation generally works if the soluble iron and manganese concentration in the water is low (less than 1 - 2 mg/l). Furthermore, iron and manganese in the water that has already been oxidized by exposure to air cannot be chelated. Water to which chelates have been added cannot be heated, because heating causes the polyphosphates to break down and release the iron and manganese. Calcium and magnesium may need to be removed from hard water to eliminate salt deposits left on foliage by overhead irrigation. This can be achieved by water softening; that is, replacing the calcium and magnesium with potassium. Note that the usual water softening unit uses sodium, not potassium. High levels of sodium may be harmful to plants and a softening unit that uses potassium should be used instead. Total salt content of the water is not changed and the potassium is used by the plants. Over fertilization with potassium may occur if the water is very hard. The potassium chloride in the softening unit must be recharged. Fluoride can be removed from irrigation water by adsorption using activated alumina or activated carbon. When using activated alumina, the pH of the water is first adjusted to 5.5 The activated alumina unit can be regenerated with a strong base, such as sodium hydroxide, and reused. Water pH does not have to be adjusted before treatment with an activated carbon unit and the carbon is usually replaced when its adsorption capacity is used up. Fluoride is not soluble above pH 6 so maintaining a media solution pH above this level will prevent most fluoride toxicity problems. Boron occurs in many irrigation water sources in the anionic borate form. Anion exchange resins similar to those described for deionization systems can be used, but at considerable expense. To increase the boron-removal efficiency of a reverse osmosis system, the pH of the water needs to be adjusted to be slightly alkaline (pH 7.5). Thin film composite type membranes that are more tolerant of the higher pH should be used. Rainwater can be collected from roof runoff structures, such as greenhouses, where it is then stored in a cistern to be used as irrigation water. Collected rainwater could also be blended with problem waters such as those with high alkalinity, high EC, or excess Na and Cl or to improve the quality of recycled tailwater and industrial wastewaters with high nutrient content used for irrigation. Other non-problem sources of water could also be used for blending. Rainwater has a natural pH of about 5.6 and a very low mineral content. Acidic rainwater with a pH in the range of 4.0-5.0 is acceptable for irrigation; it’s poorly buffered and will have little effect on growing medium pH. Water with a pH below 4.0 should not be used as it may injure seedlings and young transplants. Rainwater should be collected from clean, well-maintained structures free from mineral contaminants such as zinc and other metals. Water should be tested for pH and minerals at least twice a year. Have water tested at a laboratory that is equipped to test water for irrigation purposes. Irrigation water tests should always include pH and alkalinity. Use filtration to remove suspended solids from water to prevent clogging of piping, valves, nozzles and emitters in an irrigation system. Suspended solids include sand, soil, leaves, organic matter, algae and weeds. Water pH may need to be adjusted before being used for mixing some pesticides, floral preservatives, and growth regulators. Biernbaum, J.A. 1995. Water Quality, Tips on Growing Bedding Plants. The Ohio Florists’ Association.